Bright, beautiful and bursting with life. 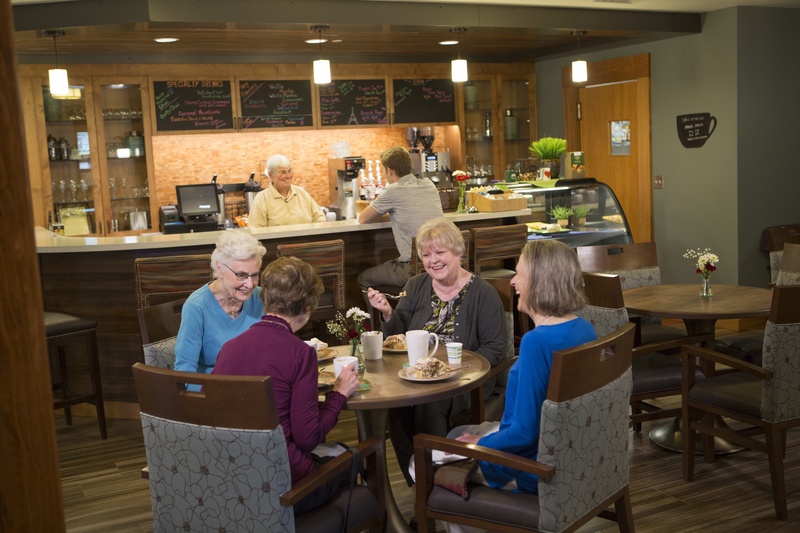 Explore Independent Living at Dallas Retirement Village. Reward yourself with the ease and convenience of services and amenities specially designed to give you freedom and peace of mind. 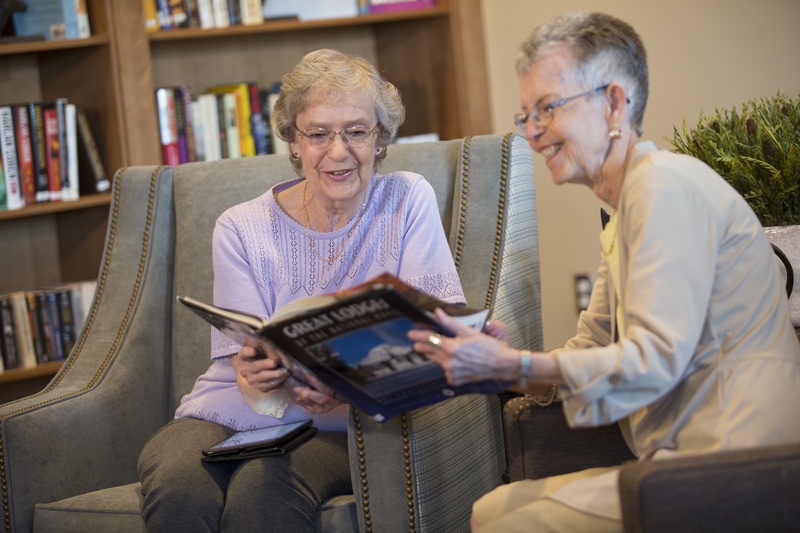 "Dallas Retirement Village became “home” to me in August 2017. 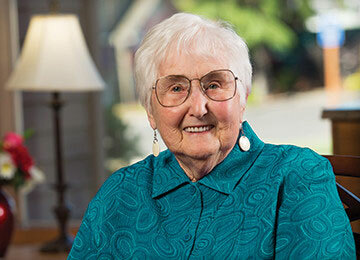 I moved here to be closer to my daughter and granddaughter, leaving Roseburg, OR and 67 years behind. I have never regretted it. Because of the warm hospitality of the staff and the new friendships I’ve made, DRV is my home." Click here for our full list of services. Click here for our full list of amenities. Each residence in our Village Apartments features a unique design just waiting for your personal touch. Floor plans include studio, one and two bedroom styles. View Floor Plans. 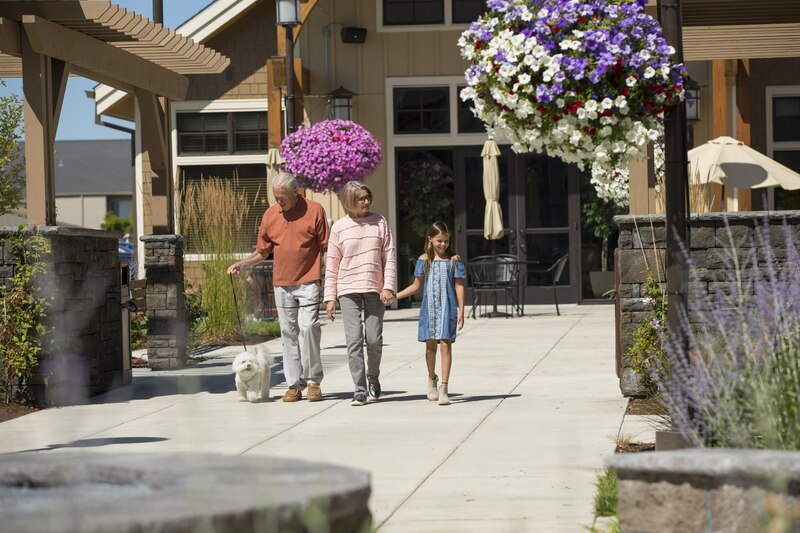 The Lodge Residences offer spacious apartment-style floor plans with the details and finishes people want for independent retirement living today. View Floor Plans. 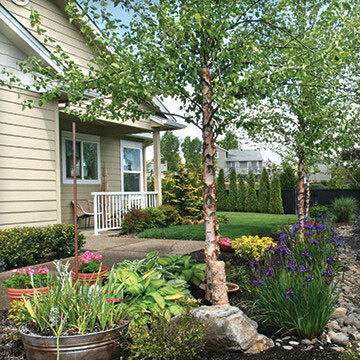 Among independent living options in Dallas, Oregon, our garden homes stand out as a unique option. Enjoy all the benefits of home ownership – without the hassles of maintaining a private home – when you choose a craftsman-quality, two or three bedroom garden home. Each floor plan includes a garage, patio, fireplace, generous kitchen and dining space and abundant natural lighting. View Floor Plans. 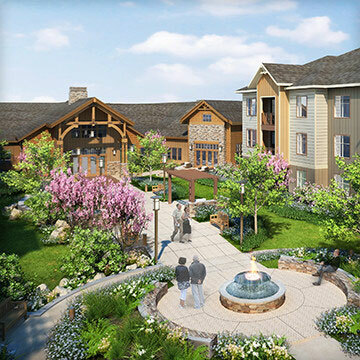 The Northwest-inspired Lodge Clubhouse is the hub of resident life. It’s the perfect place to join friends and family for a delicious farm-to-table meal in the Timber Grille. Visit over a cup of coffee from the Central Blend. Or relax in a comfy chair by the beautiful stone fireplace. 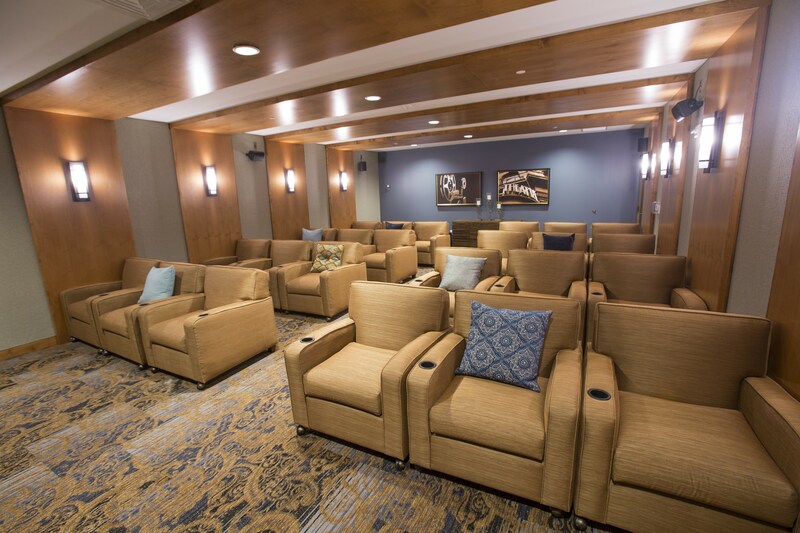 View the Lodge Clubhouse features. State-of-the-art movie theater showing new releases and classics. The Central Blend coffee shop is a favorite gathering place for hand-crafted drinks and snacks. 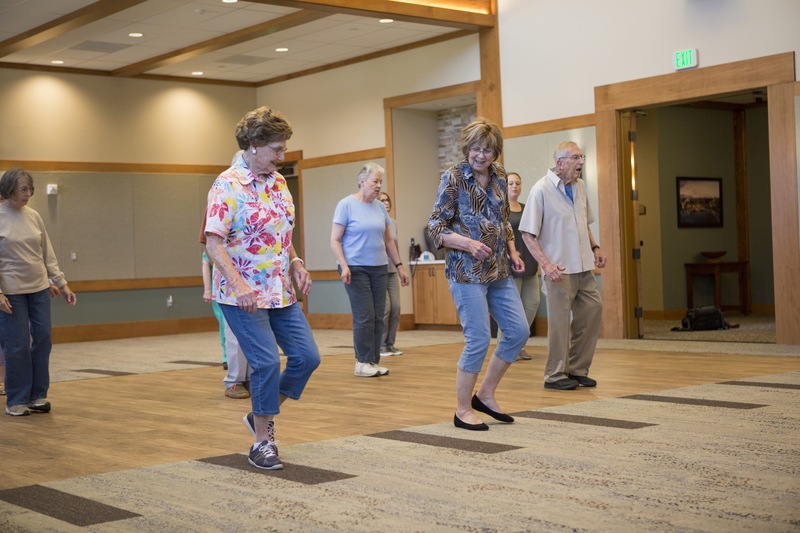 Line dancing classes in the Cascade Commons combine fun and exercise. Our well-stocked library offers everything from the latest best sellers to the daily newspaper. Enjoy happy hour on our Clubhouse patio. 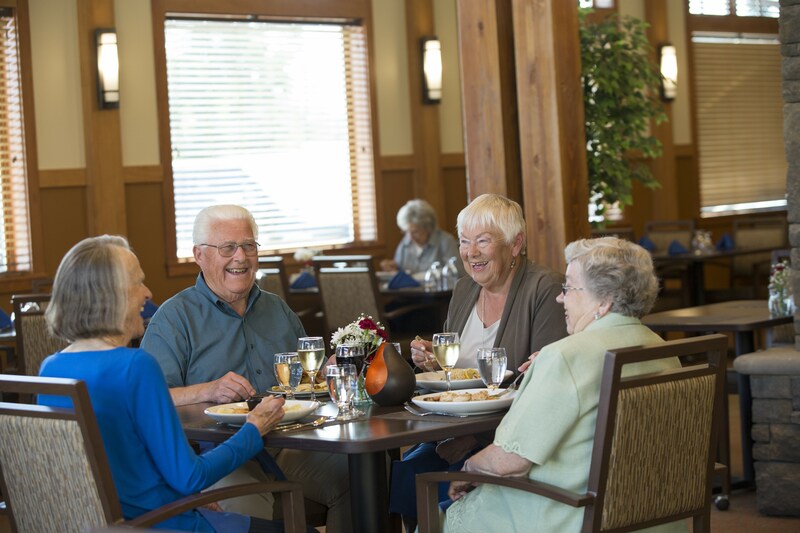 Neighbors enjoy great conversation over delicious meals in the beautiful Timber Grille. 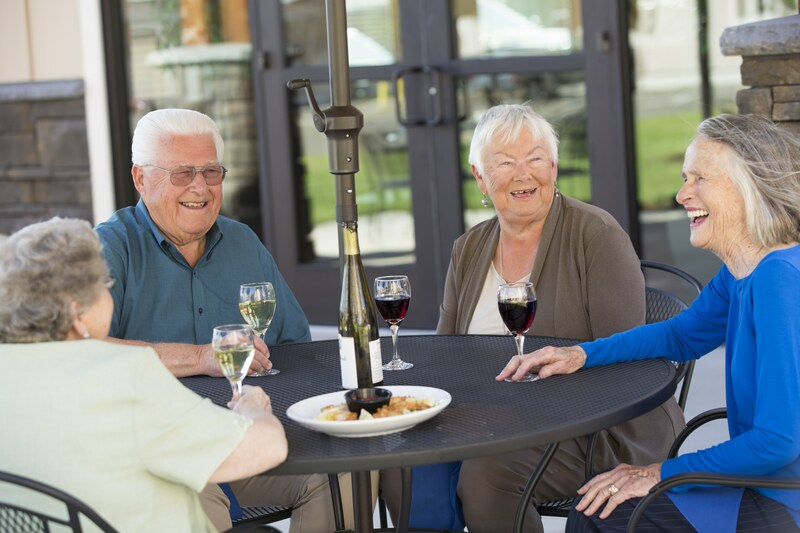 The Clubhouse courtyard beckons residents outdoors to enjoy this beautifully landscaped setting. 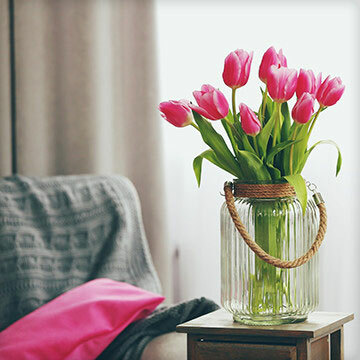 What's included with your home? One monthly fee covers your exterior and interior home maintenance, housekeeping, lawn and landscape care, water/sewer, garbage removal, property taxes, satellite TV, dining credit, fitness center membership, scheduled group transportation, use of garden areas, and a multitude of activities, classes and day trips. See it in person with our marketing team. Call (503) 623-9211 or contact us below. See The Lodge floor plans in action. Get started here!